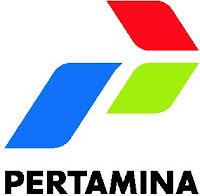 PT Pertamina (Persero) seeks extraordinarily talented individuals who share our values and has passion in becoming part of the great team to accomplish our extraordinary vision: to become a world class national oil and gas company. Turn your ideas and creativities into solutions. Discover all the challenging works, all the places you can work, all the diverse people you can collaborate with and all the problems you can help to solve. We invite you to explore it all. -Having a competency / expertise in the field of renewable energy. -Have knowledge in the area of ​​risk management and investment pererencanaan. -Have knowledge in the field of planning and evaluation strategies upstream. - Having knowledge and insights in the field of environmental analysis of the upstream business. - Having knowledge in the field of operations and data analysis activities upstream. - Having knowledge in the area of ​​risk management and investment pererencanaan. - Having knowledge in the field of planning and evaluation strategies upstream. Responsible for developing and managing reporting system for field operation. Including Key Performance Indicator (KPI), Production dashboard system, Action Tracking System. Working on daily basis with Production Superintendent, Maintenance Superintendent, Marine Superintendent, HSE Specialist and relevant Business Support Coordinator. - Responsible for developing and managing integreated area, and providing required support system to achieve business performance objectives, activity plan alignment and efficient field execution. Working on daily basis with Production Superintendent, Maintenance Superintendent, Marine Superintendent, Project Engineer, Drilling Engineer and others Business Support Coordinator. - Responsible for field operation scheduling and engaged with production and maintenance team for developing field area schedule & managing changes due to field emergent activities. Working on daily basis with Production Supervisor, Marine Supervisor, Fabrication Supervisor and Computerized Maintenance Management System (CMMS) support team.